« Time to quit smoking…yet? Ready to try an alternative therapy for migraine pain relief? If you’ve been struggling with migraine pain and conventional medicine doesn’t seem to have any answers, maybe it’s time to try low-level laser therapy (LLLT). Low-level laser therapy, also known as cold laser therapy, has been used for years on patients seeking effective, alternative methods of migraine pain relief. In fact, cold laser procedures are an excellent option for patients who require treatment, but who prefer to avoid medication or invasive treatments. 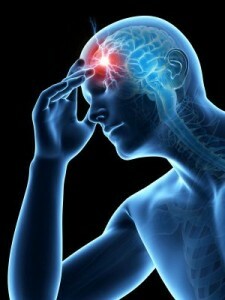 Cold laser therapy does not mask migraine pain like many pharmacological treatments. It treats the underlying condition to promote healing. While each session only takes a few minutes, it may take a series of treatments before you can gauge its effectiveness. Overall, cold laser therapy can help relieve those pain-filled days and sleepless nights, ultimately giving you your life back. Call us here at Calgary Laserworks today for more information.